GeoMarketing 101: What Is Geofencing? With the goal of breaking down some of the most important “geo” concepts to provide a better understanding of the basics — and a jumping off point for exploring how far the power of location may take us — we introduce the next installment of our GeoMarketing 101 series: understanding geofencing. 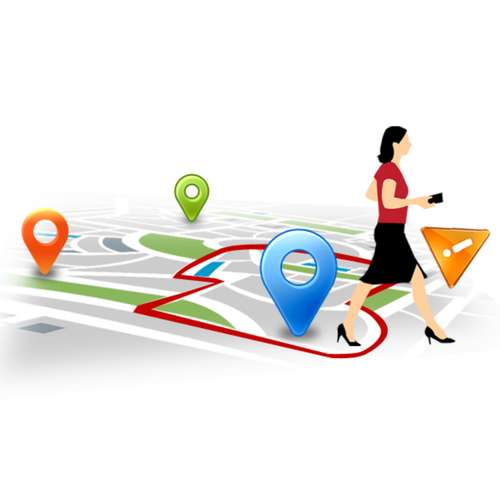 Geofencing is the practice of using global positioning (GPS) or radio frequency identification (RFID) to define a geographic boundary. Then, once this “virtual barrier” is established, the administrator can set up triggers that send a text message, email alert, or app notification when a mobile device enters (or exits) the specified area. So, businesses can section off a geographic area and communicate with devices within that space — understood. But why do they want to? Geofencing is a way to engage consumers based on hyper-local location, and that can do a lot in terms of triggering immediate sales as well as understanding shopper mindset. For example, a store could erect a simple geo-fence in an area surrounding its physical location. When users pass through, receiving a location-triggered alert or deal makes them considerably more likely to stop in and shop. Alternatively, an auto dealer, for example, could set up a geo-fence aimed at targeting individuals who are leaving a rival dealership after browsing for a vehicle. Hitting them with an offer for zero percent financing on a comparable car model at that moment is more likely to make them come comparison shop — or at least consider an alternative option. Finally, even if a geo-fenced offer or notification doesn’t provoke an immediate visit or sale, it allows a business to know exactly what location a consumer passed through — and where they were when they received the message — which may aid in refining targeting efforts in the future based on what communications were most successful. What Are Brands (And Vendors) Doing With Geofencing In The Real World? While a common application of geofencing is mentioned above — alerting customers near a store to an opening, offer, or a sale — today’s uses for the technology are considerably broader. For example, concert and events producer Live Nation has geo-fenced amphitheaters at music events with a product called ShowBook. ShowBook geo-fenced the different tour stops of a musical artist, aggregating and curating all of the fan social media content generated in those locations. This captures a better understanding of what fans enjoy and share at events — as well as potentially providing brands with a better way to join in on real-time social chatter. Proximity specialist Gimbal handled the geofencing aspects of the program, a spokesperson for that company told GeoMarketing. Opted-in users of the RetailMeNot mobile app received “exclusive location-triggered content and offers” when they shopped at participating stores — and the content tied back to Elle and its online and offline properties. And while these are examples of major enterprises using the technology, there are plenty of smaller scale options for local businesses, from sectioning off areas around their stores to geofencing a local event. Simpli.Fi’s self-serve geo-fencing tool is one example.